Las Vegas isn’t a place someone would typically associate with a Nokian Tyre ride-and-drive event, but in late September the tiremaker chose the Las Vegas Motor Speedway to debut its latest tire offering – the zLine A/S – to media and tire dealers. It was the ideal venue to remind North American dealers that Nokian Tyres has more than just winter tires. “Our key message now is we have other tires,” said Tommi Heinonen, president of Nokian Tyres North America. 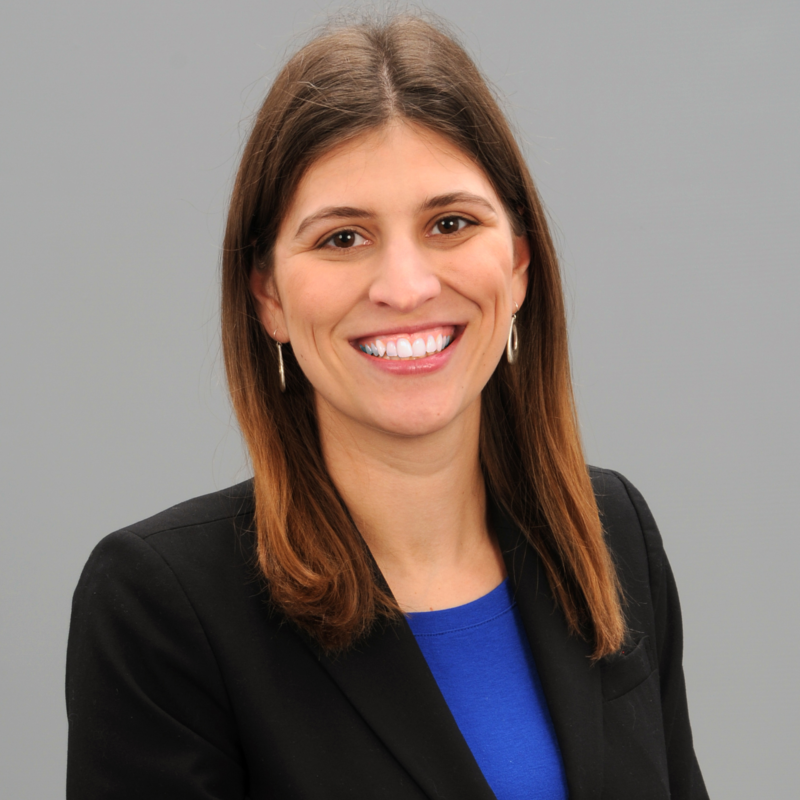 Heinonen noted that growth takes time and the tiremaker has been making efforts to grow its product offerings within North America. As part of that growth, the zLine A/S is the first all-season UHP tire designed specifically for North America. 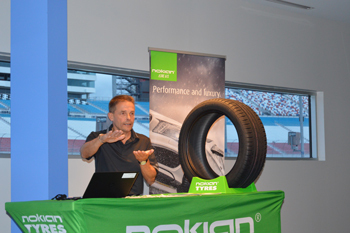 Engineers at Nokian explain the science behind the new products. During the ride-and-drive event at the Motor Speedway, dealers had the opportunity to drive on the zLine A/S on both a wet and dry track, putting the tire to the test. Designed to perform safely and precisely under all weather conditions, the zLine A/S provides mileage and fuel saving benefits and responds well to changing road conditions at high speeds, Nokian said. “The new Nokian zLine A/S immediately responds to steering, which is an essential requirement for safe operation at the extreme limits. In addition to precise handling, these advances in technology also manifest themselves in the commendable driving comfort and durability of the tire,” said Olli Seppälä, product development manager for Nokian Tyres. On wet and slushy roads, the tire’s stiff outside shoulder stabilizes handling of the rigid tread pattern, while contoured groove corners add additional support during cornering and lane changes, Nokian said. Additionally, 3-D siping binds the tread block together. Cooling Edge technology cools the hottest parts of the tire to improve handling. Nokian’s Dynamic Traction Boost Tread Compound is designed to operate a high speeds and its Comfort Base Compound below the tread surface softens the impacts during driving, the tiremaker adds. Additionally, the zLine features a “Silent Groove Design” that helps to minimize interior noise produced by the tire. Heinonen noted that the zLine A/S is an important tire for Nokian and the tire can offer opportunities for dealers as well. The zLine A/S and Rockproof, expand Nokian’s all-season tire offerings within North America. The tire will be available in 25 sizes (ranging 16- to 20-inches) in speed category W (up to 168 mph) for passenger cars and SUVs in early 2017. All tires come with Nokian’s Driving Safety Indicator on the center rib, which indicates what percentage of tread depth remains. Marketing for the tire will be focused mainly on the Internet, Heinonen shared. In addition to testing out the zLine A/S, dealers also had the chance to learn about Nokian’s newest light truck offering, the Nokian Rockproof. Designed for light trucks and SUVs, the Nokian Rockproof provides optimal performance in quarries, forests and mining areas, the tiremaker said. Developed in cooperation with Nokian Heavy Tyres, the new cut-resistant Nokian Rockproof Hybrid tread compound and tread pattern provide resistance in rough off-road conditions, the tiremaker said. Additionally, the tire features an aramid sidewall that reinforces the sidewall, making it more resistant to impacts and cuts. An optimized tread block provides handling and stability, while stone ejectors prevent sharp and jagged stones from attaching to the tread surface. The new tire line covers 13 North American sizes, from LT245/75R16 to LT275/65R20, and features a Q speed rating. A red Rockproof sidewall logo tire will be available in size 315/70R17 and may be added to other sizes later. 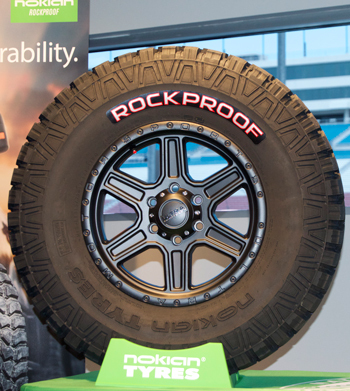 The Nokian Rockproof will be available to consumers in early 2017.